Start-Up companies or small companies mainly use residential data connection as theresidential connection can save your money. But using a high-speed internet is very mandatory when it comes to the business field. If your business processes are working fast, then the growth will be good, and the business will thrive for a longer period. Some people may think that a high-speed internet will only drain their money and hence they will settle for slow connections. So let us check what the impact of having a good internet speed is. Many internet providers offer the dedicated connections with high speeds. Dedicated connection means that you can use the entire connection without sharing them with other connection. In this way, your speed is not getting divided and hence when you download heavy data, then the connection won’t get slow. If you get a dedicated connection, then you will get a circuit with an associated bandwidth that is destined for a particular business. Not all people will need high-speed internet connections, but if your business deals with regular downloading and uploading of data for sharing with your clients in the branch office, then a normal internet speed will slow down your process. In this case, you can opt for symmetric connectivity as they will provide equal download and upload speed so that you can get the maximum benefit from it. For business, collaboration is an essential requirement. To do agoodcollaboration, you will need good speed internet connection. You can easily share many files of large size with the help of fast uploading speed and with generous bandwidth. You can also perform other communication technologies which are screen sharing and online conferencing. Having a high-speed internet connection will make you wait for less during collaboration. To maintain the on-premises data on hardware is a burden for especially small business owners and hence they are shifting their processes to the cloud. Cloud helps to save investments cost or any other hardware maintenance. But a cloud will work properly only if you have a great speed internet connectivity. Clouds increase productivity by cutting down the expenses. The online world is a great place for marketing your products. Having a good website or having a good impact on the social media can help your business a lot. If you have a good internet, then uploading new videos, multimedia contents or products demo won’t be an issue. And the coordinator of social media can easily rely on the fast, dependable connection which helps to interact or connect with potential customers. A good internet speed makes the entire process smooth, and your business can grow rapidly. It is a good idea to opt for a data connection that is providing high speed. 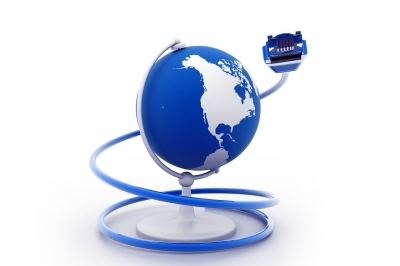 Many companies provide business internet services at an affordable price and with good speed. High-speed internet is the key to the future growth of the business. And for many companies having a good internet speed is very important like the website developers, computer repair business, IT firms, consultants and they need a good connection to share the information and meet the deadline quickly. Apart from them, the advertising companies who use Photoshop or creative tools will also good need high-speed internet. Retails companies depend on the fast internet connections as they need to do many transactions or need to use Big Data. The banking sector also needs good connection so that the transactions can be done properly. Also, a good network will help you to meet industrial deadlines and provide service to the customers efficiently and on time. 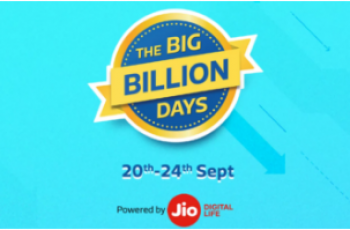 Don’t Miss the “BIG DIWALI SALE OFFERS” Starting from 20th Sept!